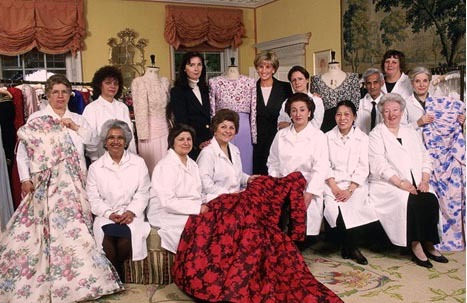 The 79 Diana dresses offered for auction in 1997 complete with descriptions and selling prices. 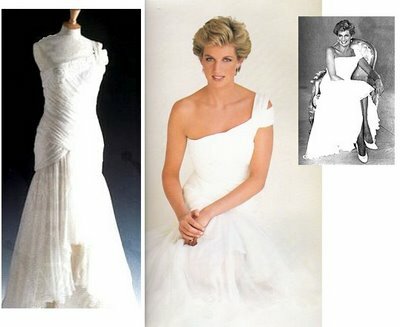 For more on the recent sale of the now famous sold & resold "Diana Dresses"
Designed by Gina Fratini. White chiffon gown trimmed with pearlised sequins and beads. Designed by Christina Stambolian. 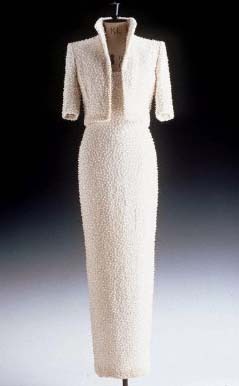 Diana wore this dress in 1993 to the Serpentine Gallery. Black silk crepe with asymmetric ruched bodice and side sash. Designed by Catherine Walker. Gray halter neck dress embroidered in a scroll pattern with glass beads. 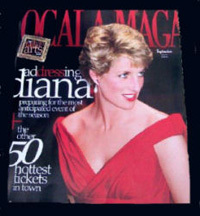 Diana wore this short, halter dress in 1995 at a gallery opening. $77,300.00 Originally purchased by Fashion Cafe. Displayed at their flagship restaurant (behind glass) in NY. Also displayed in Milan and London. Designed by Bellville Sassoon . Black cocktail dress with white satin collars and cuffs. Embroidered with black sequins and trimmed with a large black bow. 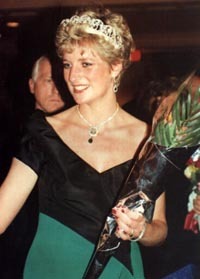 Diana wore this dress to a London Concert at the Barbicon. $43,700.00 Purchased by Paris Match Magazine. Given as a prize in a magazine contest. 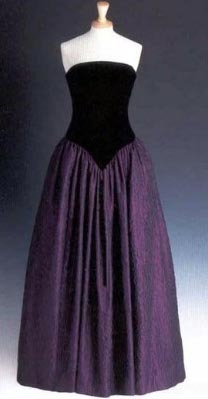 Purple and red ball gown by Catherine Walker. Fuchsia pink chiffon with purple sash shoulder strap and trailing stole. 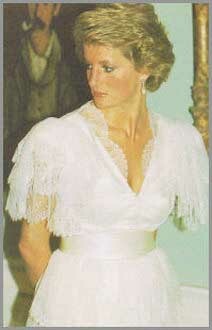 Diana wore this gown for a official visit to Thailand in 1988. $48,300.00 Recently resold to Muse de Moda Museum in Santiago, Chile. Loaned to and currently on display at Kensington Palace. Designed by Catherine Walker. Pale blue chiffon ball gown with matching stole. 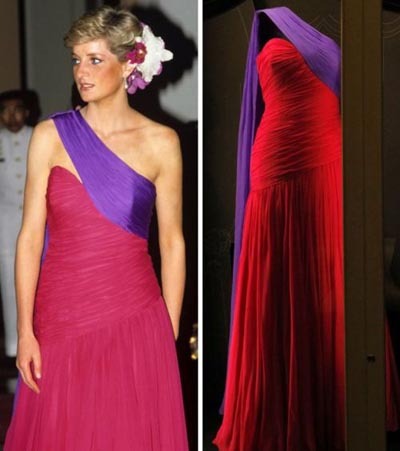 Diana wore this chiffon gown several times in public. 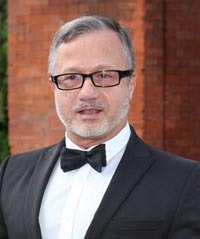 In 1997 at the Cannes film festival and again to a film opening. $70,700.00 Purchased by Kate McEnroe of AMC. simulated pearls and silver and pearlised sequins. Belted with a white satin cord. Worn to the Birthright benefit at the London Palladium, May 1987. $41,400.00 Originally purchased by A woman in Florida. Designed by Catherine Walker. 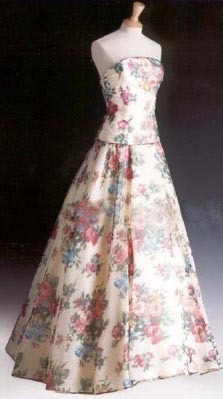 This strapless taffeta evening gown is adorned with blue flowers. Purchased by Suzanne King from Texas. 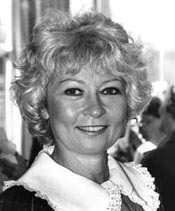 Suzanne King founded Pink ribbons Crusade. 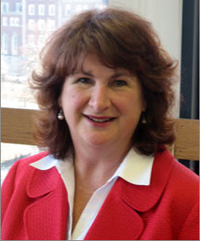 Her husband Jess is owner of Cablevision of Marion County. Designed by Catherine Walker. Pink chiffon evening dress with the bodice embroidered in a paisley style in simulated pearls. in honor of Disney animation fan Erin Pincus. 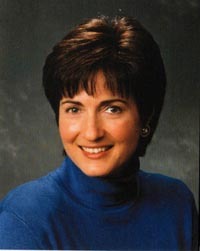 Sadly Erin died five years later after surgery for a malignant brain tumor. Designed by Catherine Walker. 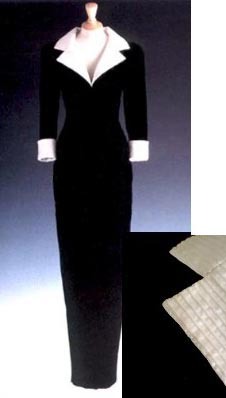 Black silk velvet with black and ivory trimmed neckline, cuffs and hem. 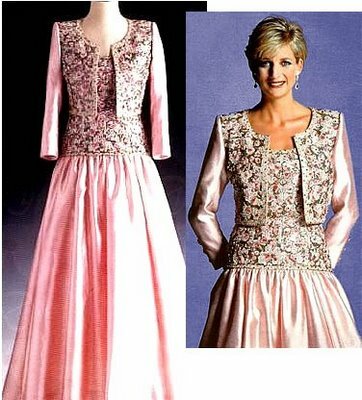 Diana wore this dress to her last state banquet in 1993. $34,500.00 Purchased by Terry Jasper, Laguna Niguel, California. Now owned by Terry's daughter Juliette Jasper-Lakins. blue enamel and paste buttons and a diamante buckle on a belt at the waist. $66,300.00. Designed by Bruce Oldfield. Red chiffon dress embroidered in a tartan design in silver Lamé. 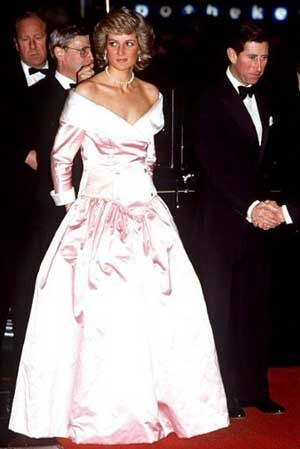 Diana wore this gown to a film premier in 1991. $34,500.00 Purchased by a woman in Florida. 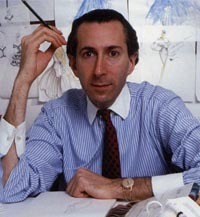 Designed by Victor Edelstein 1985 . 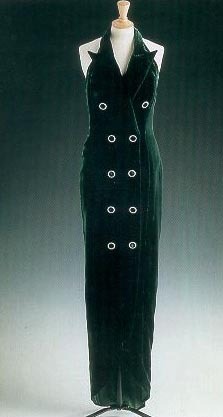 Bottle green velvet gown trimmed with three buttons on the back and each cuff. $32,200.00 Purchased by a woman from Florida. Designed by Catherine Walker . 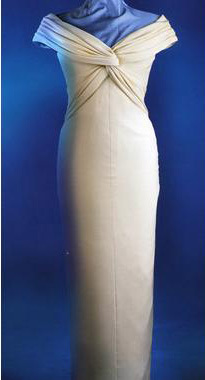 This gown is ivory silk crepe, with draped bodice and straight skirt. 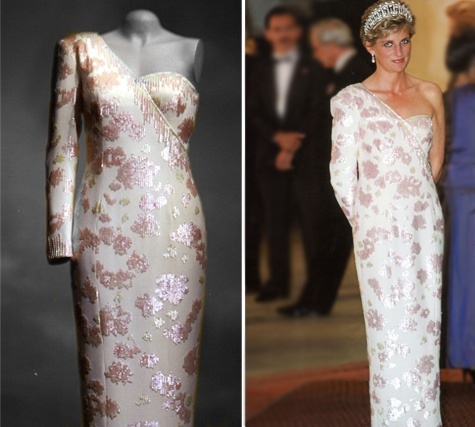 Diana wore this gown to a State Banquet for the King and Queen of Malaya, in 1993. $52,900.00 Originally purchased by a woman from Florida. Recently resold to Muse de Moda Museum in Santiago, Chile. and on several other occasions. 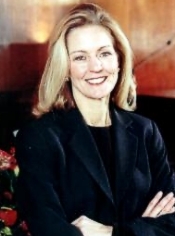 $34,500.00 Purchased by Shari Graham, Destin, Fla.
and on several other occasions including in 1987 on a visit to the Gulf State of Qatar and again in 1987 to dinner in Munich, Germany. 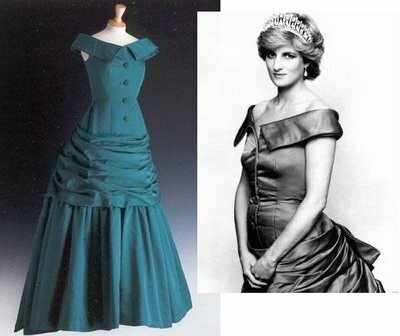 It was then altered to a strapless gown which Diana wore twice in 1990 including for an official visit to Nigeria. $36,800.00 Purchased by the Great American Doll Company. Designed by Catherine Walker for the 1992 India Tour. 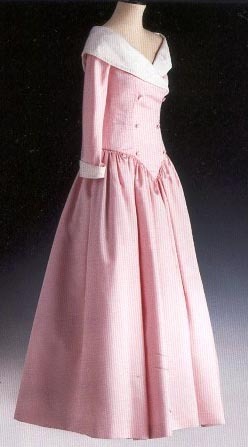 Pink evening dress. 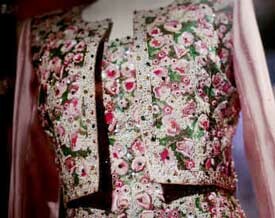 Bodice and matching bolero embroidered with sequins, gold glass beads and gold braid to echo Mughal motifs. 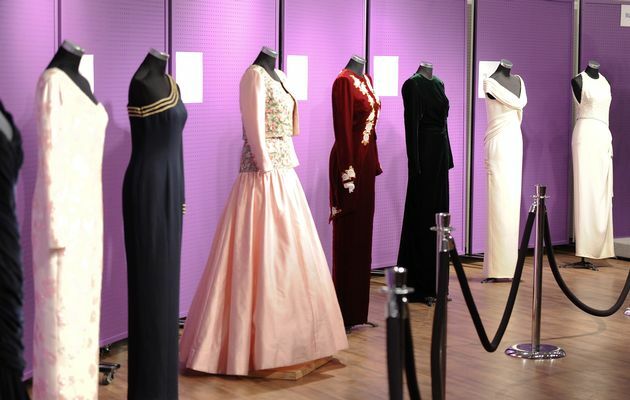 It is now owned by the Museum of Style Icons, located in Newbridge, Co. Kildare, Ireland. Designed by Hachi. One shoulder white gown embroidered with translucent glass beads and crystals. also in Washington in 1984 and a state visit to Japan. $75,100.00 Purchased by You magazine. and hem decorated with rectangular paste buttons. $29,900.00 Purchased by Marilyn Hoffman of Virginia. She has it in a frame. 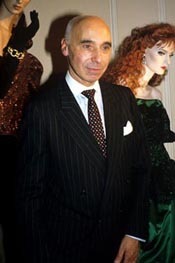 Designed by Jacques Azagury. 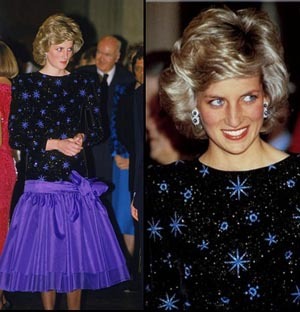 Diana wore this fantasy dress in Florence in April,1985 and in Toronto in 1986 . Ballerina length dress with black bodice and embroidered skirt with blues stars. The drop waisted skirt is a double layer of royal blue organza. 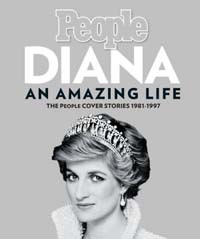 $26,450.00 Purchased by People magazine. 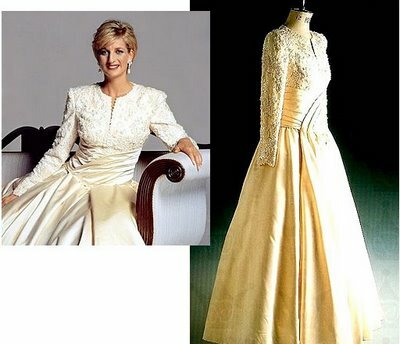 Designed by David & Elizabeth Emanuel. 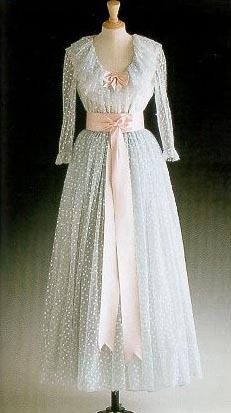 Pale blue tulle evening dress embroidered with pearlized sequins and trimmed with a pale pink sash. Lot 24 Wendy with her mother. Designed by Bruce Oldfield. Ivory satin thirties -style evening dress with a lace over-jacket. $29,900.00 Owner by Wendy Morris-Rogers. 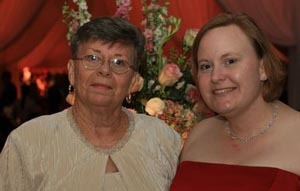 Oklahoma City, Ok.
Wendy poses with her mom, Loretta Olson, who is a breast and lung cancer survivor. 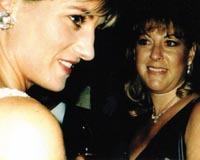 Wendy loans her Princess Diana dresses to exhibitions that raise money for breast cancer charities. and skirt and long sleeves with rouleaux down the outside arm. 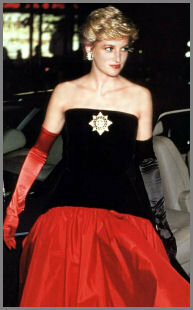 Diana gown to the French Embassy in London in 1988.
and gold paillettes and simulated pearls. $25,300.00 Purchased by Fontaine Minor from Richmond, Virginia. The dress now has its own bodyguard. 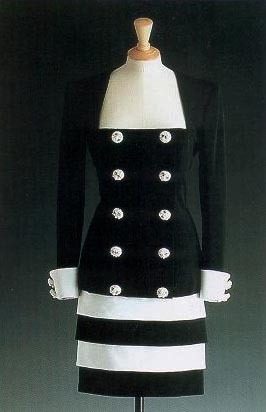 Designed by Jacques Azagury. Cream silk chiffon with embroidered hourglass shaped bodice and Tudor style neckline. Designed by Murray Arbeid. Midnight blue silk tulle, strapless dress lined with purple silk and adorned with daimant stars. 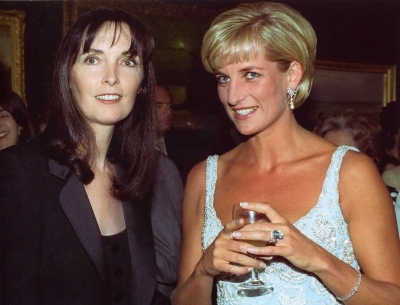 Diana wore this sparkling dress at the Phantom Of The Opera London Premiere. 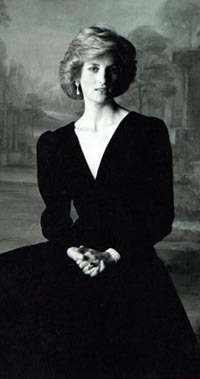 Lord Snowdon photographed Diana in this dress for the Christie's auction catalog . 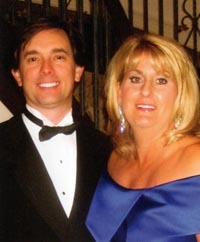 $48,300.00 Purchased by Pat Kerr Tigrett, a bridal and couture designer from Memphis. Arbeid pointed out that the design was a very successful one and the dress was by no means unique. Designed by Victor Edelstein. Fuchsia pink silk off the shoulder evening dress. a movie premiere in 1992, to a banquet in 1990 and a charity event in 1990 in the United States. $36,800.00 Originally purchased by Fashion Cafe. Designed by Catherine Walker. Dark green velvet double breasted evening dress. 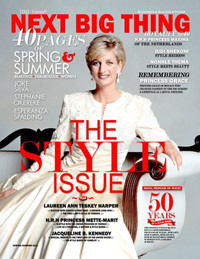 $24,150.00 One of two dresses owned by Kensington Palace. with shimmering pink pearls at the neckline, and split to the knee and back. $29,900.00. Designed by Catherine Walker. Black velvet bodice piped in red with a full skirt of green, black and red silk in a plaid design. 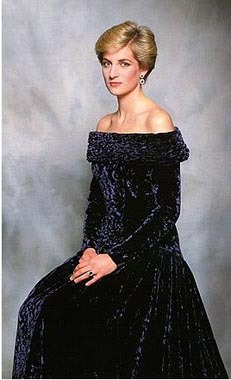 Diana wore this gown to an evening of Scottish Dancing at Balmoral and to the National Gallery in Scotland in 1990. Designed by Victor Edelstein .Emerald green satin with a Victorian style and a full skirt. Designed by Catherine Walker. Red lace with cap sleeves and halter neck. 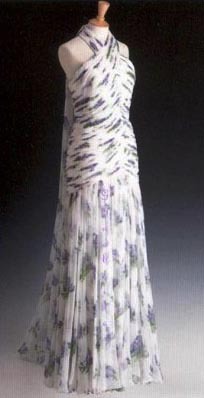 Diana wore this dress on a solo visit to Argentina in 1995. $25,300.00 Purchased by a collector in Washington, D.C. who wishes to remain anonymous. and at the first night gala opening of 'Les Miserables' at the Barbican centre, 10th October, 1985. $36,800.00 Owned by a woman from Florida. Designed by Catherine Walker. Double breasted black and white cocktail dress with a square neckline and long sleeves. $36,800.00 Purchased by Bruce and Jolene McCaw of Seattle, Wa. Designed by Catherine Walker. Black silk crepe evening dress. Empire style bodice embroidered with diamanté paste. 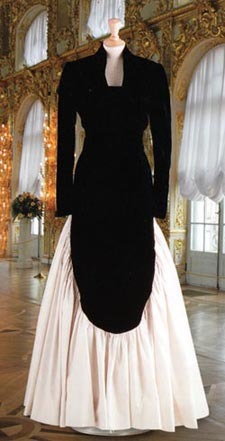 Diana wore this long , black crepe evening dress to an official visit to India in 1992. $42,550.00 Purchased by Kate McEnroe head of American Movies Classics. Designed by Catherine Walker. Royal blue evening dress with velvet bodice and duchesse satin cumberband and skirt. Designed by Catherine Walker. Gray silk evening dress embroidered with simulated pearls. 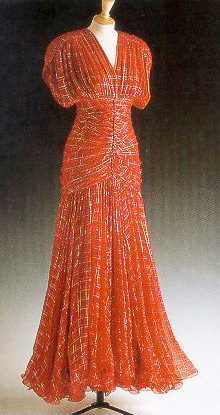 Diana wore this gown for the Vanity Fair photo session in 1997. $29,900.00 Originally purchased by a woman from Florida. Resold unknown buyer. Designed by Catherine Walker. Emerald green silk gown with a cross over bodice. 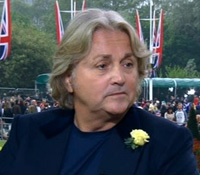 to an 80th birthday part for Sir George Solti at Buckingham Palace and in 1993 to her last state banquet. Designed by Catherine Walker. Straight black skirt with bodice adorned with white ribbon. 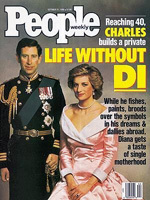 Diana wore this gown to Pakistan in 1992 and to a film premier with Princes's William and Harry. Designed by Murray Arbeid. 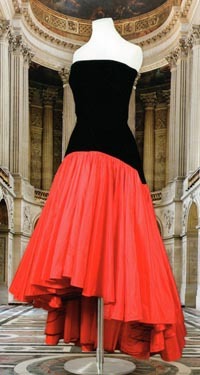 Flamenco style ball gown with black velvet strapless bodice and red taffeta skirt. The Maltese Cross Order brooch made by Butler and Wilson of London. 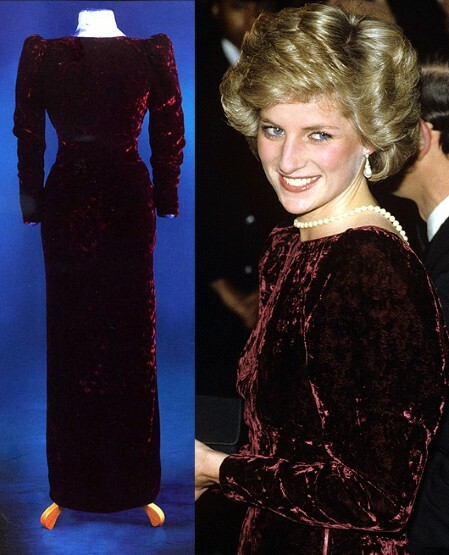 Diana wore this gown in 1986 to a London film premier and to the American Cup Ball. She also wore it in Spain in 1987. $25,300.00 Purchased by Suzanne King from Texas. Designed by Catherine Walker. 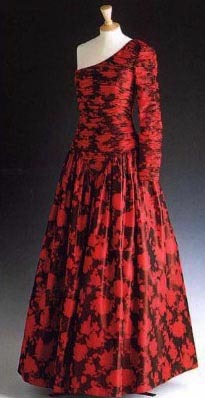 Silk taffeta printed with red roses. Designed by Catherine Walker. Ivory satin with a bodice adorned with simulated pink pearls, glass beads and sequins. 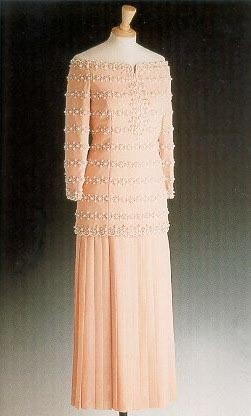 Diana wore this gown, for a formal portrait and private functions within the palace. 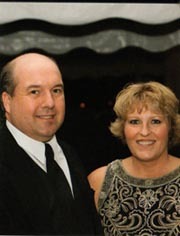 $43,700.00 Purchased by Nancy & Frank Zacharias of Plymouth, Minn. Designed by Zandra Rhodes. Pink chiffon adorned with pearls, lace and beads. and to a state banquet in Kyoto Japan. 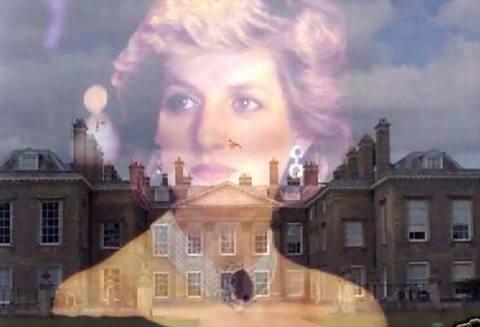 $27,600.00 Recently purchased by Kensington Palace. Designed by Catherine Walker. White silk crepe with horizontal bands of black velvet. 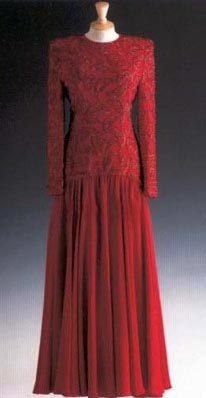 This dress was worn by Diana privately. $25,300.00 Purchased by Ellen Louise Petho. Designed by Murray Arbeid. 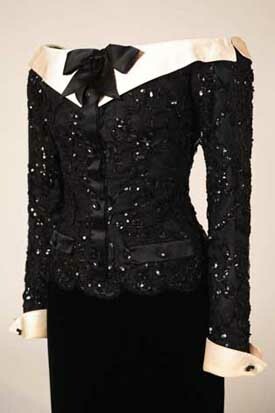 Black velvet bodice and bolero jacket white taffeta skirt. 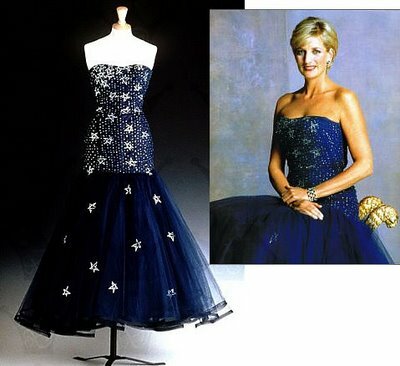 Diana wore this gown to a fund raising event to save Britain's Wheelchair Olympics. $24,150.00 Purchased by Kate McEnroe of AMC. Designed by Catherine Walker .V necked gown adorned with green/blue sequins embroidered by Jacob Schlaepfer . 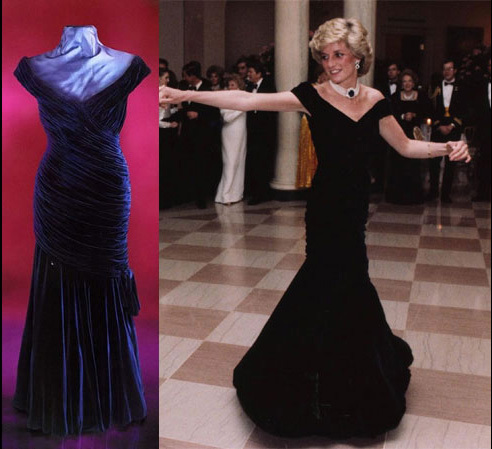 Diana wore this gown in 1986 to a film premiere and in 1990 to the Diamond Ball. $24,150.00 Purchased by a woman from Florida. Designed by Catherine Walker. Blue silk crepe with blue satin rouleaux neckline. Designed by Catherine Walker. Lilac bodice and bolero jacket embroidered with violets and roses and adorned with beads. 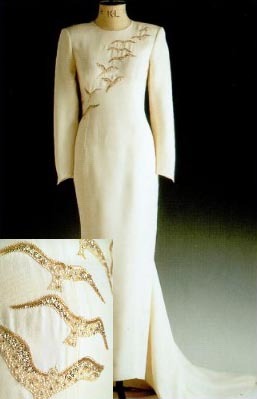 Diana wore this creation in Kuwait in 1989 , again in 1989 to a banquet at Claridges's for the President of Nigeria. Designed by Catherine Walker. White lace coat dress decorated with pale blue flowers and white sequins. 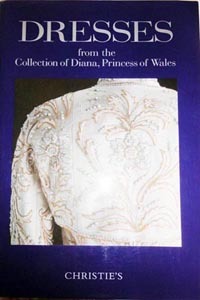 Diana wore this coat dress during an official visit to France in 1988 and again in 1989 for a visit to the Royal Opera House. 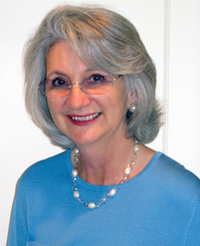 $27,600.00 Purchased by Barbara O'Neill of Rome Georgia. Designed by Catherine Walker. Cream silk with wide leather belt trimmed with medallion of paste and simulated pearls. and again in 1993 to a reception in her honor with the Crown Prince of Nepal during one of her solo state visits. $34,500.00 It was offered on eBay for $70,000.00 which didn't sell. Purchased by Suzanne King from Texas. Designed by Catherine Walker. Black velvet adorned with jet beads and Honiton lace. Worn privately. Never photographed in public. 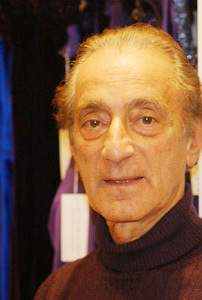 Designed by Victor Edelstein. Black lace, off the shoulder lace over a pink underskirt. 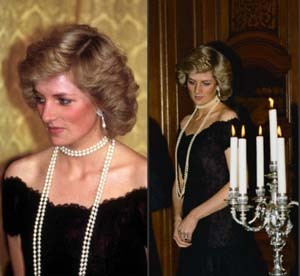 Diana wore this feminine lace gown to a banquet in Hamburg, Germany in 1987 and again in 1987 to Festival hall in London. $25,300.00 Purchased by Pat Kerr Tigrett a bridal designer from Memphis, Tenn. Designed by Catherine Walker. Pink satin with white raw silk on collar and cuffs. and to a formal banquet for the President of India in 1990. Clearly it was one of her favorites by Catherine Walker. 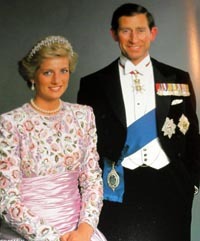 Diana also chose this gown for an official portrait with Prince Charles. nautical style rows of gold braid at the neckline and the cuff. Worn privately. Never photographed in public. $23,000.00 Originally purchased by a woman from Florida. Resold unknown buyer. Designed by Catherine Walker. Cream silk organza printed with pink, blue and yellow roses. 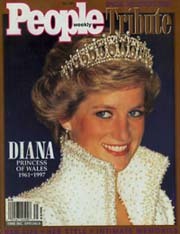 Diana wore this gown privately. Never photographed in public. Donated to the New York Metropolitan Museum of Art. Designed by Catherine Walker. Black faille bodice and jade silk crepe skirt with a fringed sash. 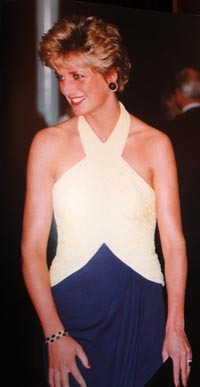 Diana wore this gown to a dinner at Toronto's Royal York hotel in 1986. $24,150.00 Purchased by Ellen Louise Petho. Designed by Victor Edelstein . Aubergine silk velvet with a tulip -shaped skirt, decorated with paste buttons. Designed by Catherine Walker. Stunning yellow and blue silk. 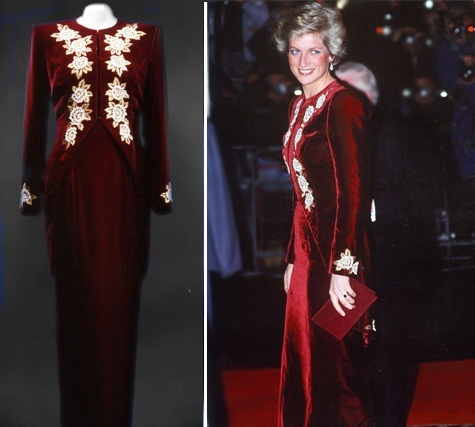 Diana wore this gown to a film premier in 1992. $33,350.00 Purchased by Bruce and Jolene McCaw of Seattle, Wa. 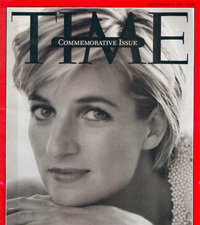 , and to the premiere of 'Steel Magnolias', in aid of the Prince's Trust, 7th February 1990. $26,450.00 Purchased by a woman from Florida. Designed by Catherine Walker. Cream silk embroidered with gold falcons on the bodice. worn at a banquet given by President Collor at the Itamaraty Palace whilst on a State visit to Brazil, 23rd April 1991. $26,450.00 Originally purchased by a woman from Florida. Designed by Catherine Walker. A black halter neck gown trimmed at the neckline and one hip with black bugle beads. 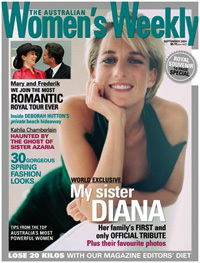 Diana wore this gown to Versailles in 1994 and for the Vanity Fair shoot, July 1997. $57,500.00 Purchased by a woman from Florida. Designed by Bruce Oldfield. Scarlet silk with a long bodice embroidered with beads. Designed by Yuki.Royal - Blue Fortuny style decorated with blue bugle beads at the neckline and waist. Designed by Catherine Walker. White silk chiffon halter neck printed with purple tulips and green leaves. 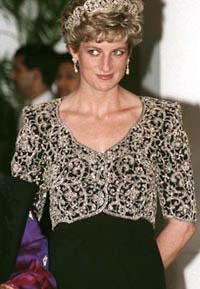 Diana wore this gown during on an official visit to Nigeria in 1989.
with a high cut bodice embroidered with simulated pearls, glass beads and paste. 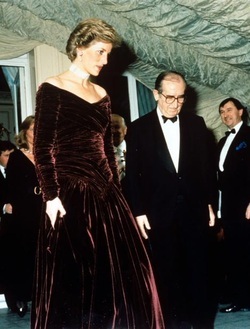 Diana wore this gown in 1992 to a reception at Spencer House. $36,800.00 Purchased by Franz Billen. Recently resold at auction. Badly faded from light exposure. Designed by Catherine Walker. Cream silk bodice and salmon pink silk skirt. and again in 1993 for a visit to Mudchute Park and Farm on the Isles of dogs in London. $25,300.00 Purchased by Shari Graham, Destin, Fla. Designed by Catherine Walker .Beaded tunic top flows into a long silk skirt. 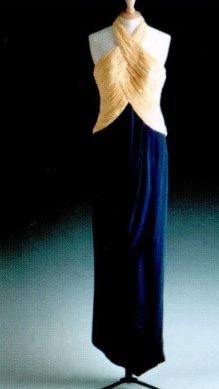 Diana wore this gown to the National Ballet in 1993. $21,850.00 Purchased by Ellen Petho. Designed by Bruce Oldfield. Purple crushed -velvet with a cowl collar and train attached at the hip. and again 1987 for an official visit to Portugal. $26,450.00 Purchased by Donna Coffin, Oak Forest, Illinois. Designed by Catherine Walker. Burgundy velvet long sleeved a low V back. 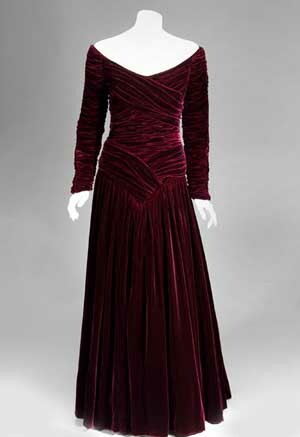 Diana wore this Burgundy velvet gown in 1985 for the movie premiere "Back To The Future" . Designed by Victor Edelstein . Black silk velvet edged with black ribbed silk. 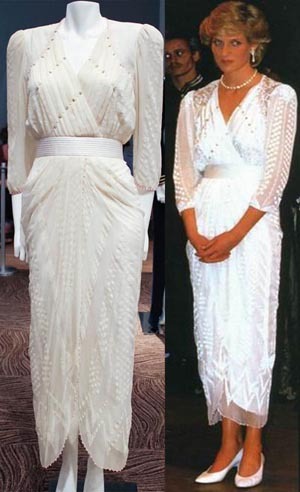 Diana wore this to a film premier March 6, 1989, again to movie premiers in 1991 and 1992. Designed by Catherine Walker. Black silk-velvet bodice with burgundy satin skirt. 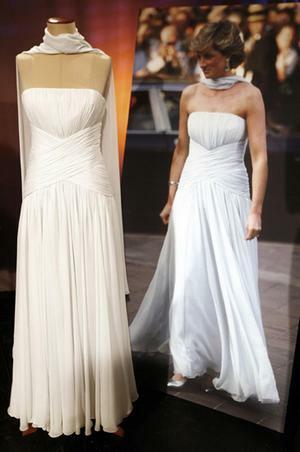 Diana had this gown altered from a high neck to strapless. Designed by Bellville Sassoon-Lorcan Mullany. Black with shoulder straps embroidered with gold sequins, gold bugle bead and paste. 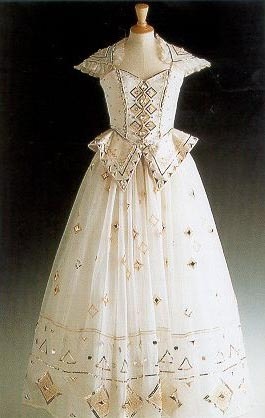 and to attended a gala of the Kirov Ballet at the London Coliseum in July 1993.
with simulated pearls and white sequins. 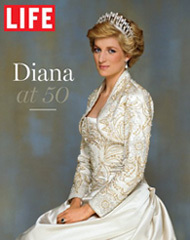 This is one of the most famous Diana dresses of all time. Often called "the Elvis Dress". Commissioned for Diana's official visit to Hong Kong in November 1989. 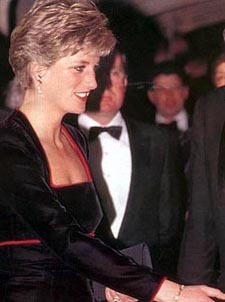 Diana also wore it to The British Fashion Awards in October 1989 and for a state visit to Hungary in 1990. Designed by Victor Edelstein. Blue silk velvet with off the shoulder straps and a bustle. to the Savor Hotel 1987 again in 1991 to the Royal Opera House for a charity event. 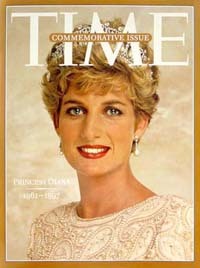 This gown garnered the highest bid at Christie's Diana dress auction in 1997. $222,500.00 Purchased by a woman from Florida. Designed by Victor Edelstein this gown was one Diana's favorite. and in New York at a Wintergarten gala dinner in 1989. $90,500.00 Purchased by Kate McEnroe of AMC.